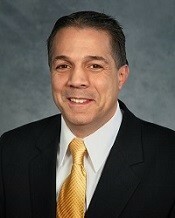 STATE HOUSE – State Sen. Leonidas P. Raptakis (D-Dist. 33, Coventry, West Greenwich, East Greenwich) will be reintroducing legislation that ties any future increase in the hourly minimum wage to the Consumer Price Index of the Northeast Region. Senator Raptakis introduced the same (2018-S 2246) last legislative session. “This proposal will provide wage raises that are needed by individuals earning minimum wage while ensuring that businesses are not overburdened with a dramatic increase that would cause financial hardship for our small businesses,” said Senator Raptakis. Senator Raptakis believes the only responsible way to prepare employees and business owners for minimum wage increases is by linking the raise to certain economic data points such as the Consumer Price Index (CPI) for the Northeast region. The CPI is determined by the United States Department of Labor Consumer Price Index for Urban Wage Earners and Clerical Workers.